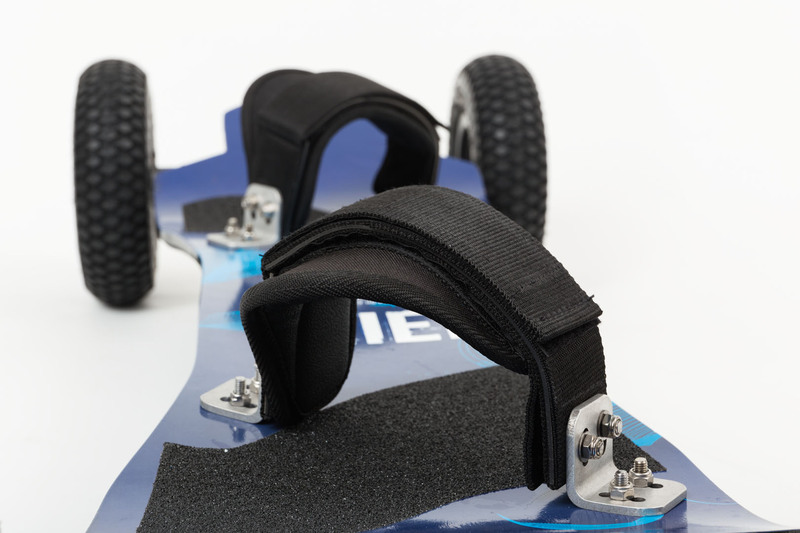 Available with 8″ or 9″ Tires. Choose Tire option before making your purchase. 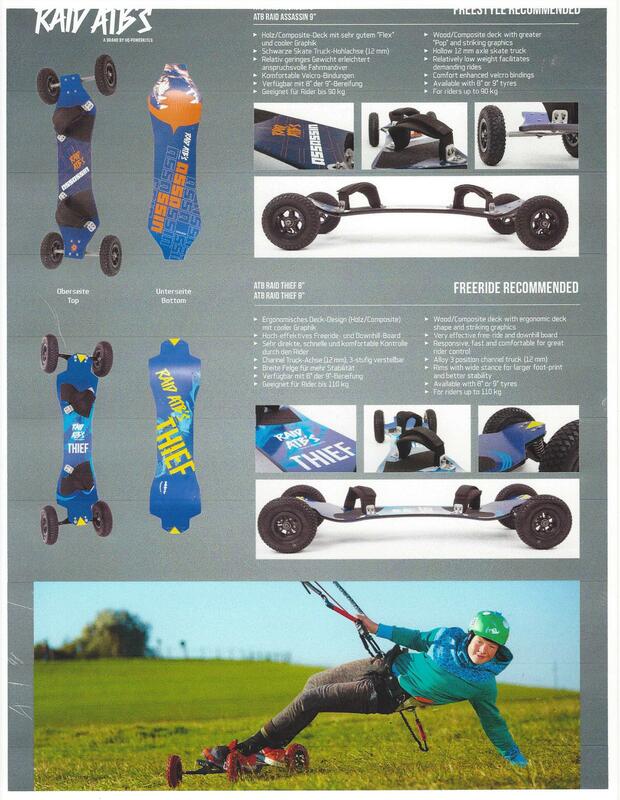 If you don’t know what land-boarding or Mountain-boarding is? Lets us give you a glimpse. Think BMX or Motor-cross. 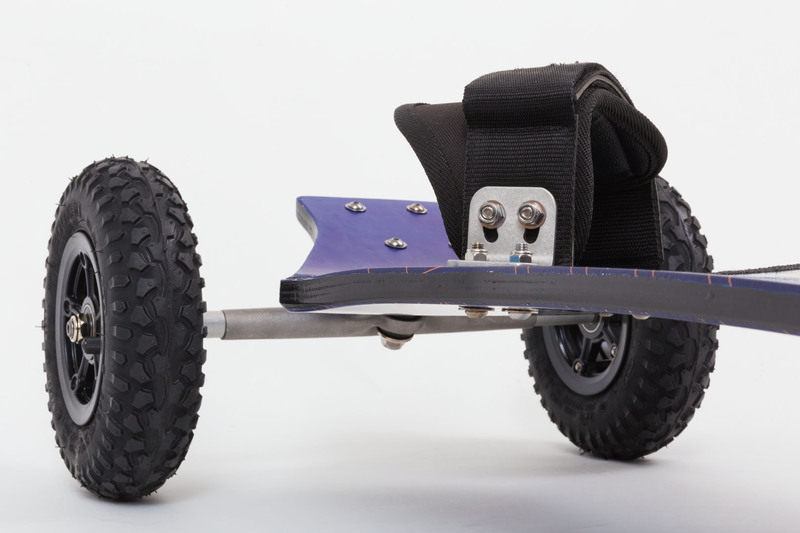 Now think of a skateboard designed to go anywhere while engineered to go totally off Road. All terrain meaning grass, dirt, sand, rock, or concrete. 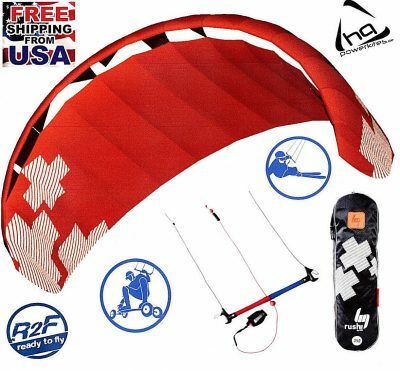 HQ ATB Raid Thief Mountain Board Land-boarding Kite-boarding are commonly used either on mountain terrain, dirt trails, grassy terrain, and concrete Boarding parks. 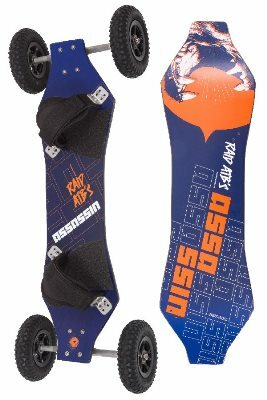 Just arrived are these newly designed wood/composite deck with ergonomic deck shape and striking graphics. 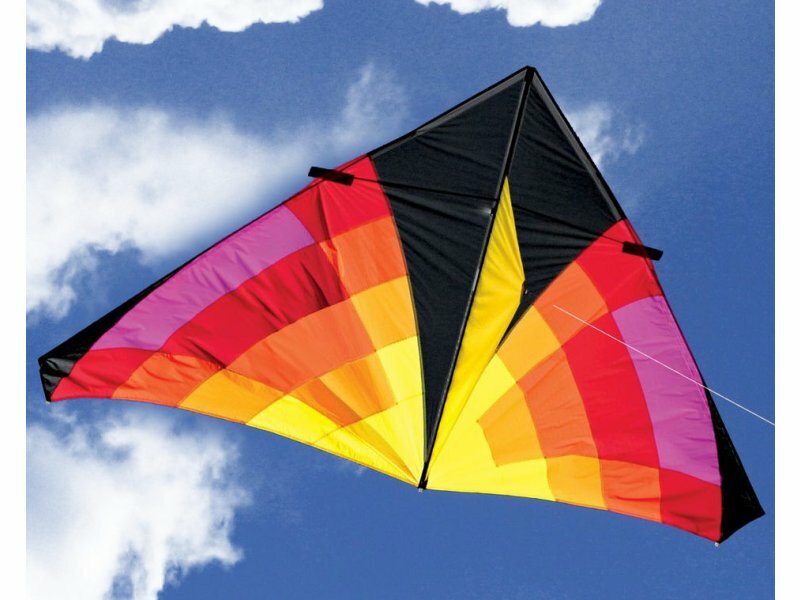 Most of all these ATB Boards are specifically Designed for either kite Landboard or freestyle kite-land boarding and downhill boarding. 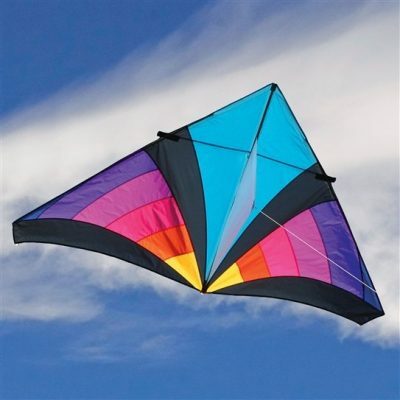 Ultimate High Quality and Heavy Duty All Terrain. 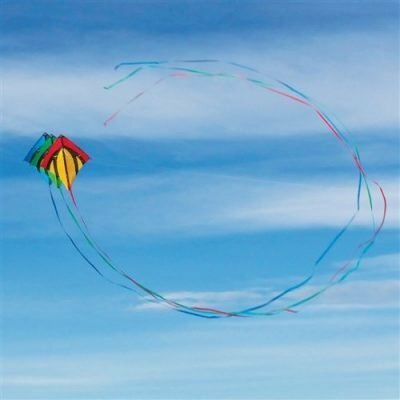 (ATB) Kite Land-board Mountain-board for kiting and free riding. Alloy 3 position channel truck (12m) for riders up to 242-lbs. or 110-kg. 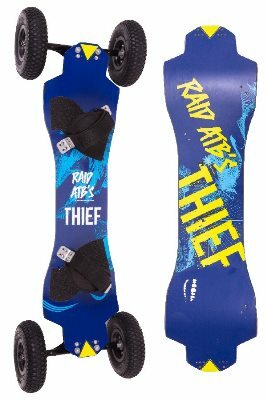 Skate style trucks makes for great turning allowing you to easily correct direction after landing a jump. 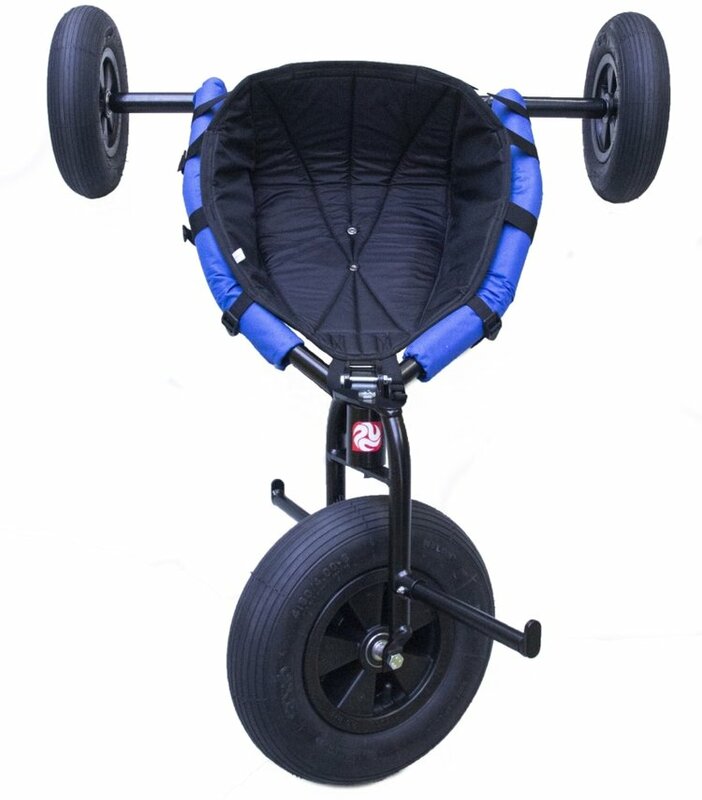 Rims with wide stance for larger foot-print and better stability with 9″ tires. Minimal assembly required. 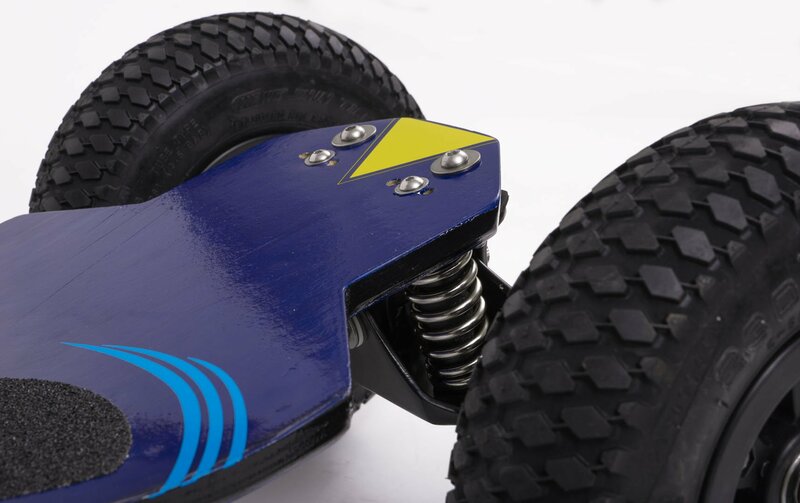 Install the 4-tires with lock nuts & bolt on foot straps. 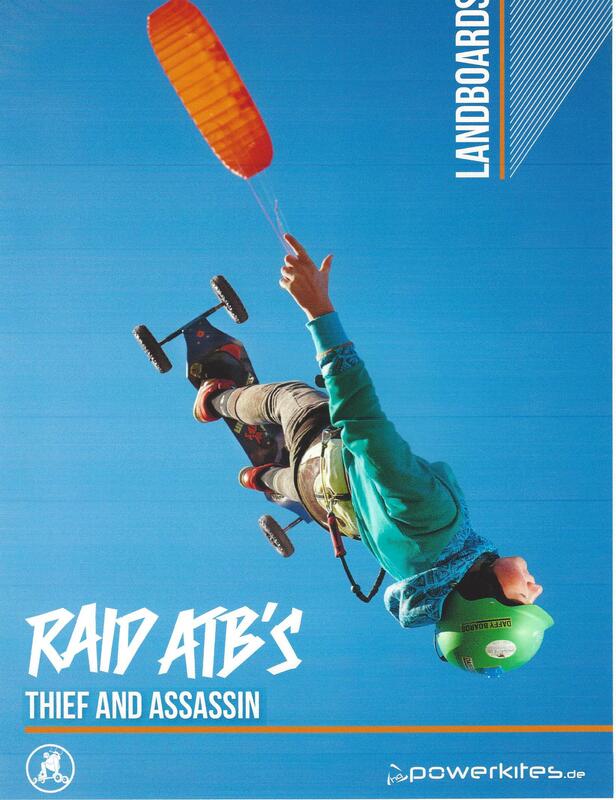 HQ ATB Raid Thief Mountain Board recommended skill levels are from intermediate to advance. 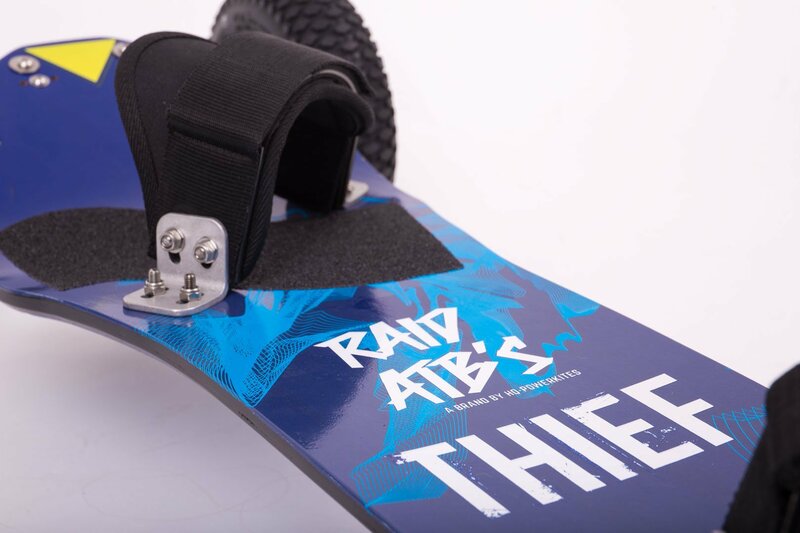 HQ ATB Raid Thief Mountain Board are opened and inspected for presence of all parts prior to shipping. 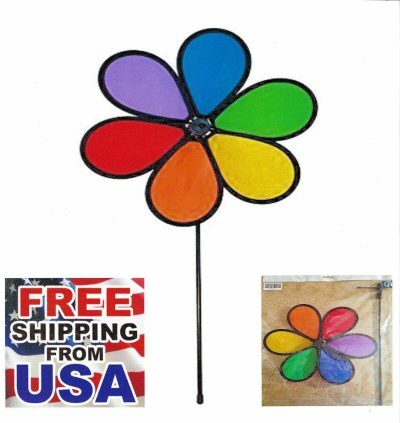 See pictures for color, design and additional information. 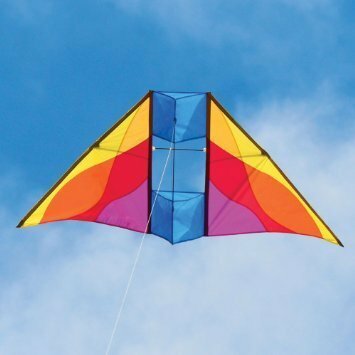 Contact us with any questions you might have before making your purchase. Contact us for shipping a quote plus you are responsible for all import duties and taxes due upon delivery.